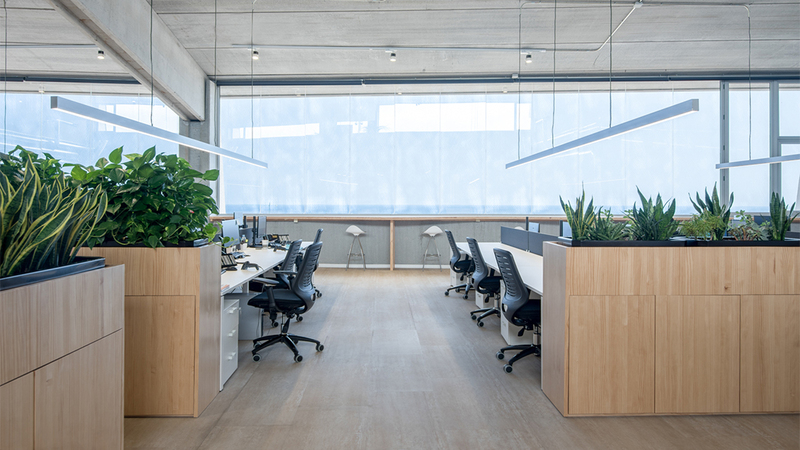 Image design for the new Impackta offices, a shipment and logistics company that combines its expertise in urgent freight with an innovative client area.It is an industrial building with sea views, where we take advantage of the high elevation to form different closets. 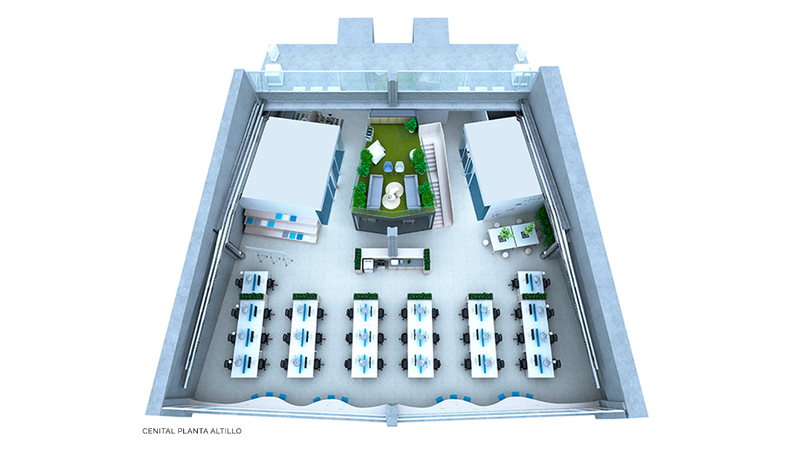 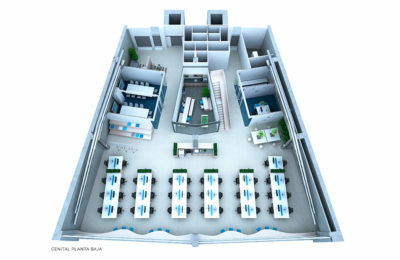 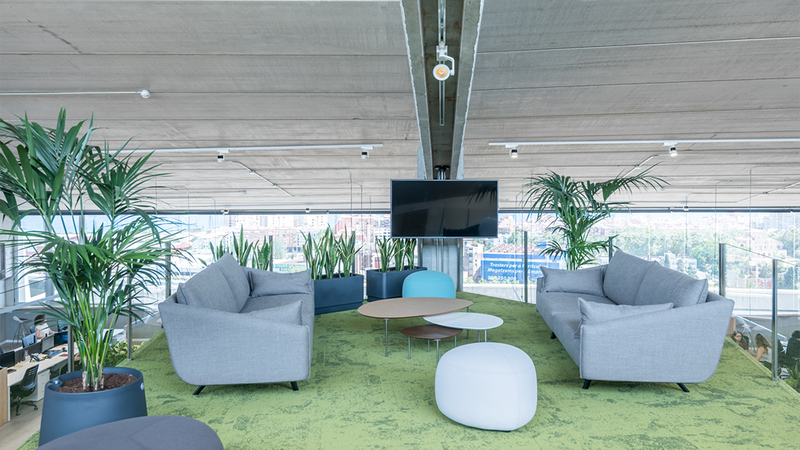 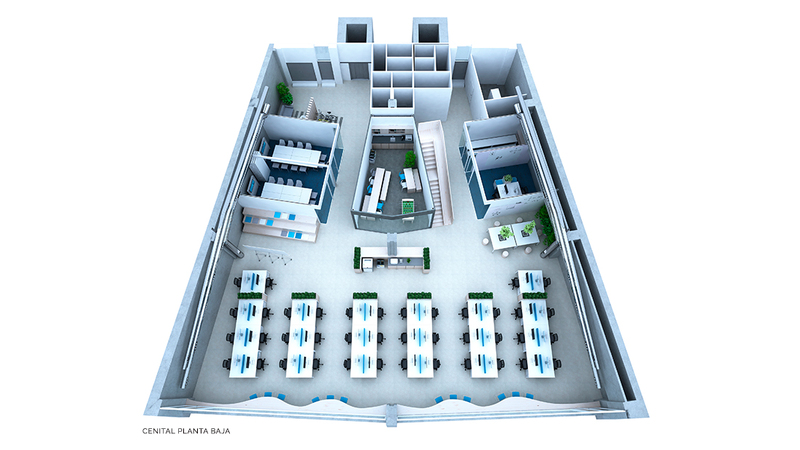 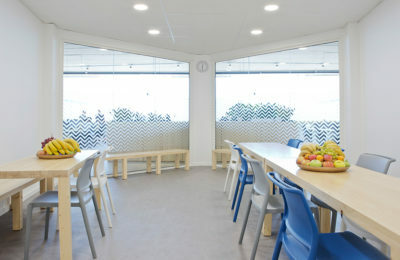 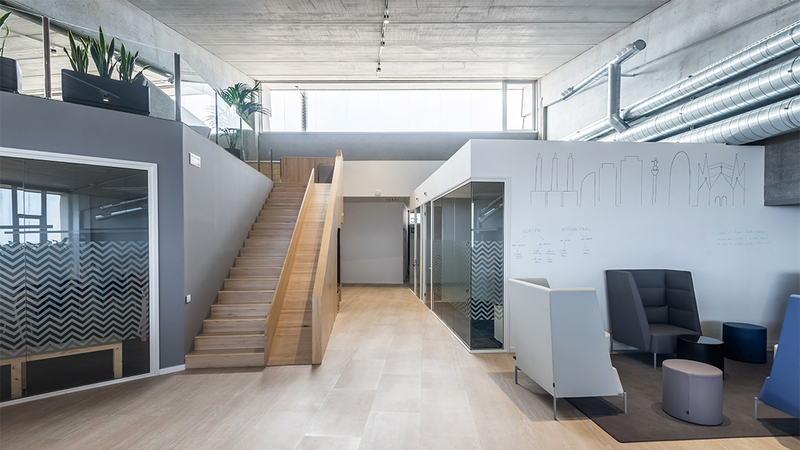 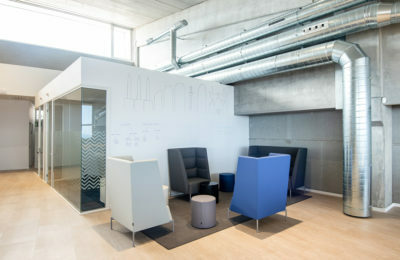 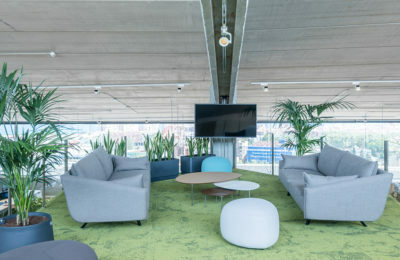 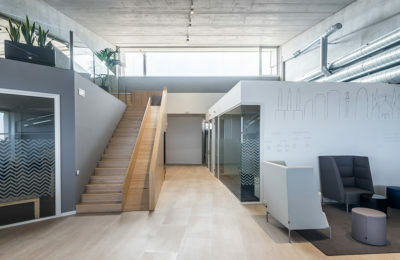 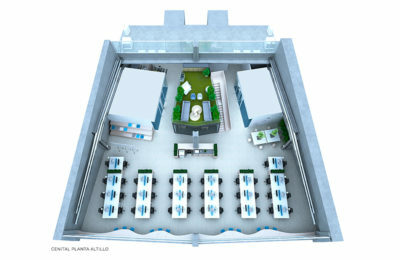 Lateral spaces with meeting rooms and a central loft that shelters the office on the ground floor and an open area for casual meetings on the upper ground used as a garden. 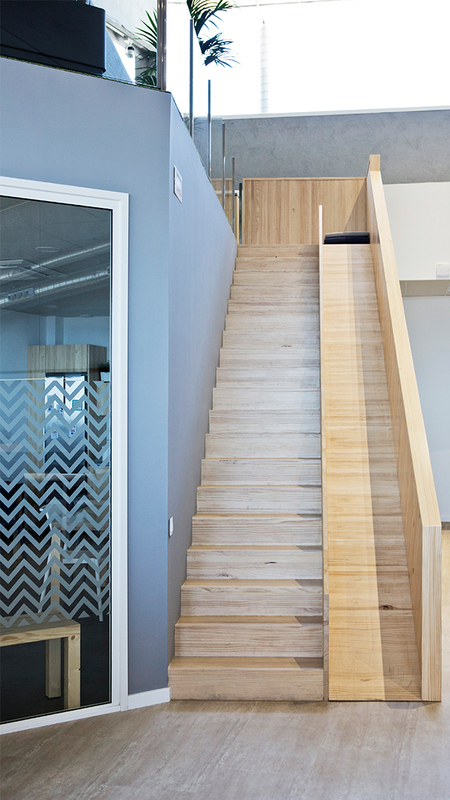 We make the most of the two levels by setting up a wooden slide. 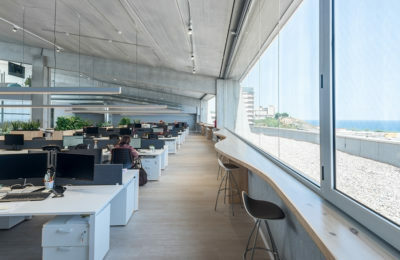 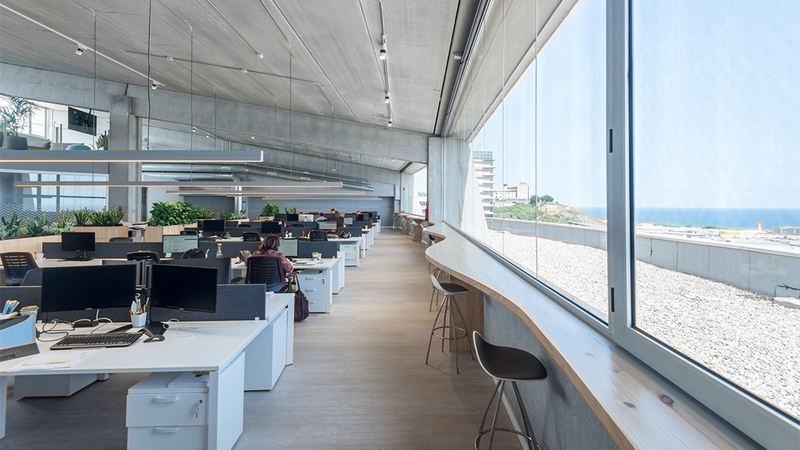 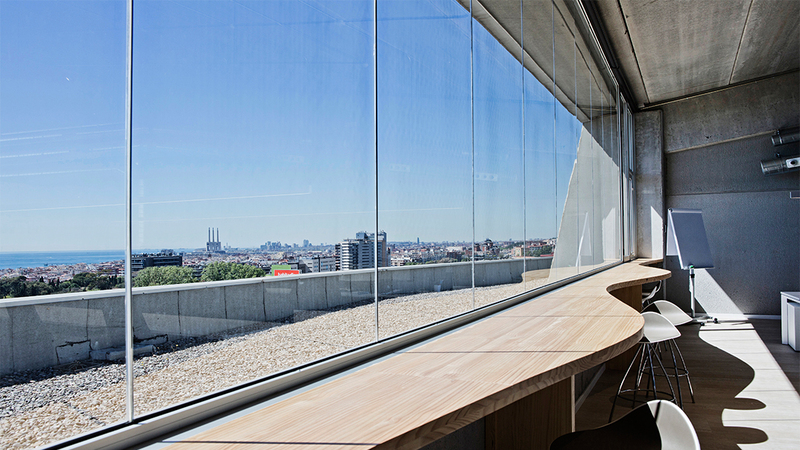 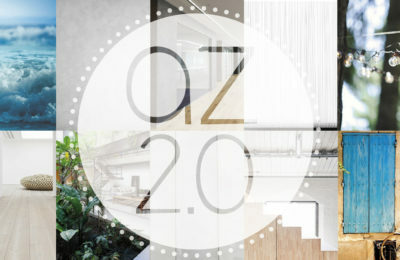 The working area is concentrated in the space next to a glazed facade, where, additionally, a tall table, in the shape of a wave, stands as a viewpoint. 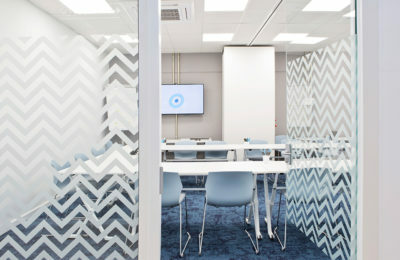 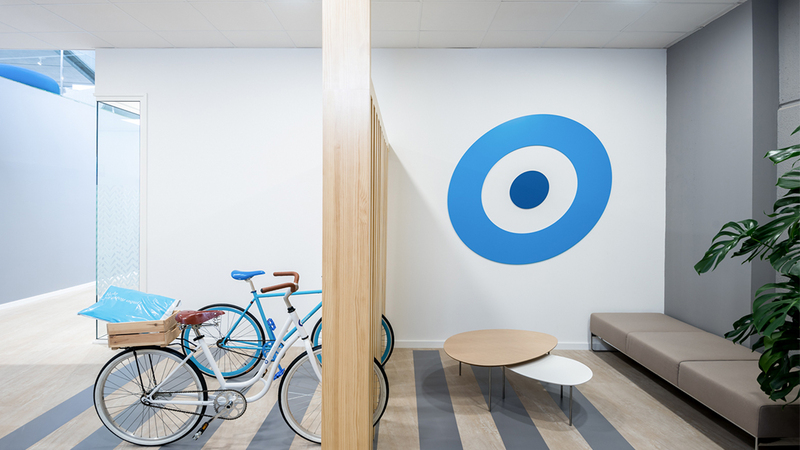 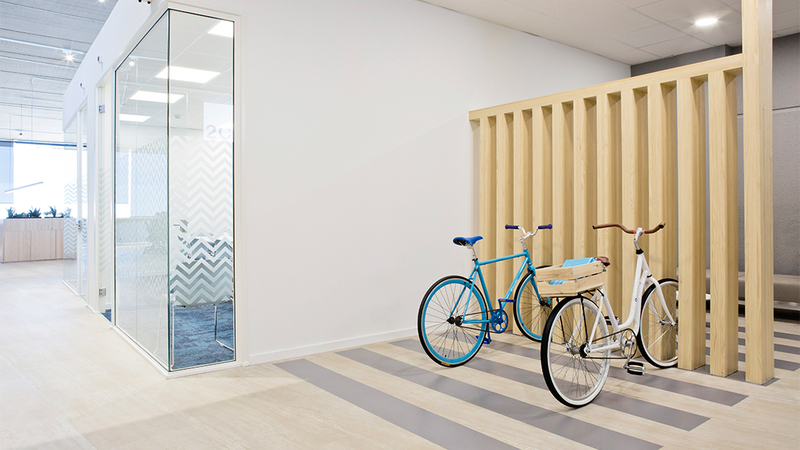 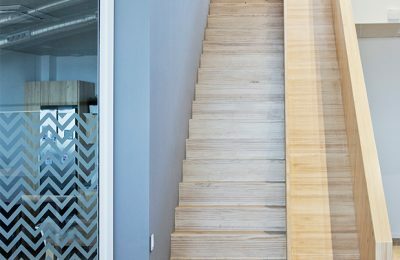 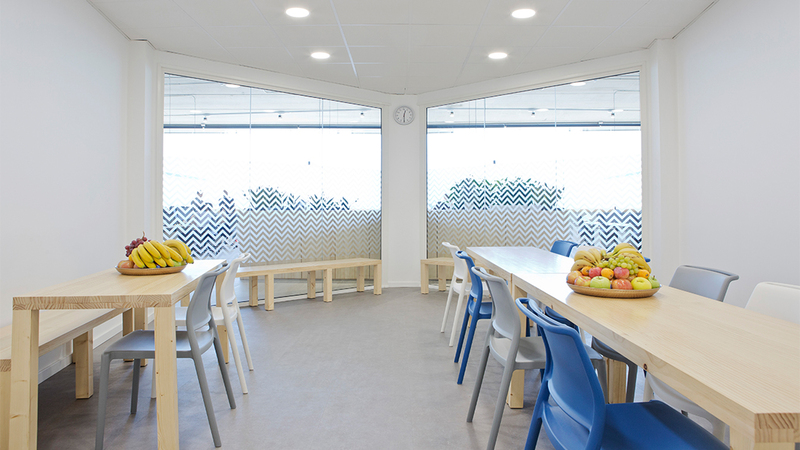 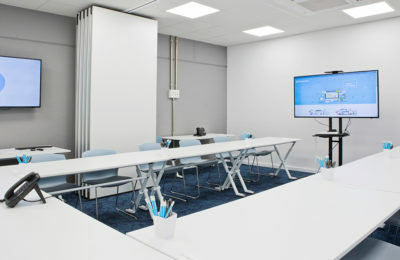 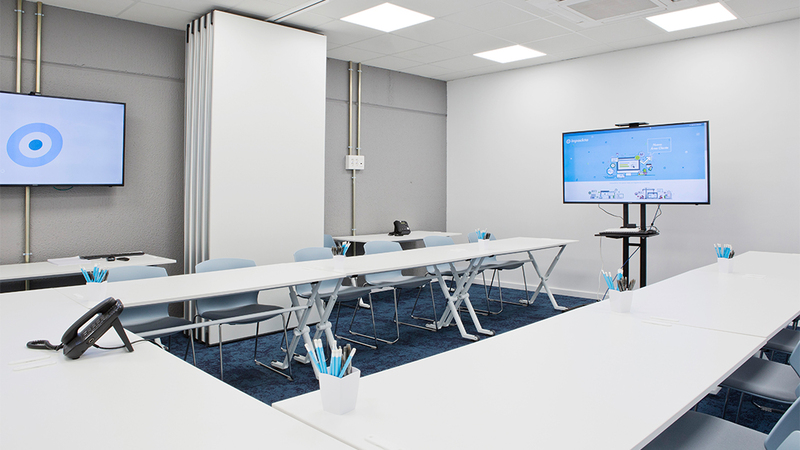 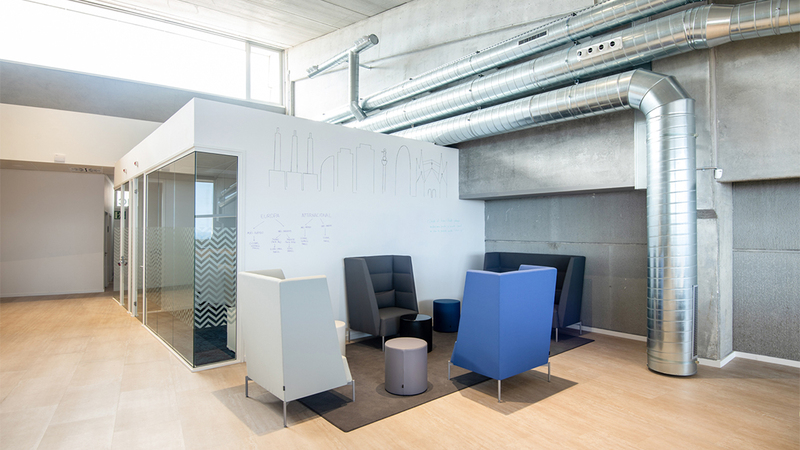 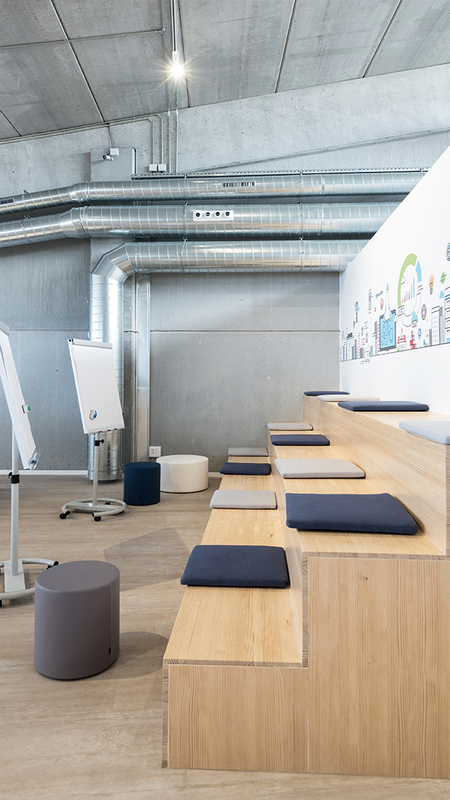 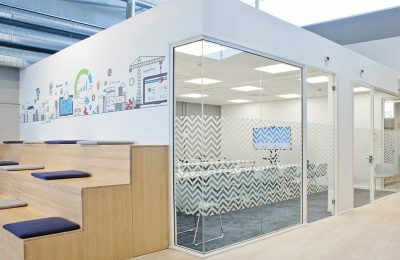 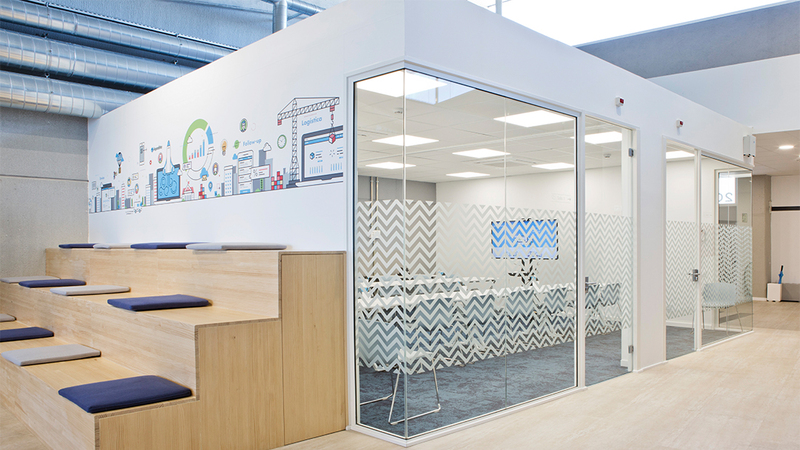 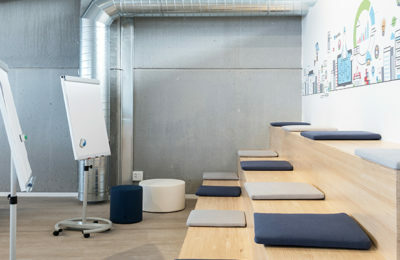 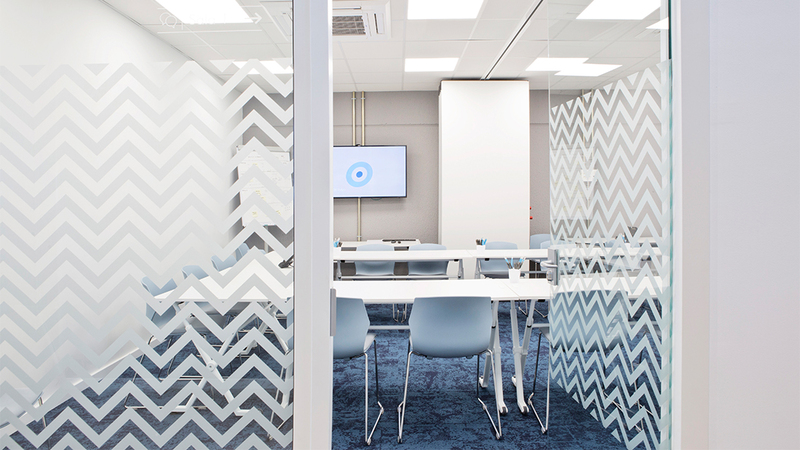 We can find different relaxed workspaces, as terraces with movable whiteboards and an open meeting area with a whiteboard wall. 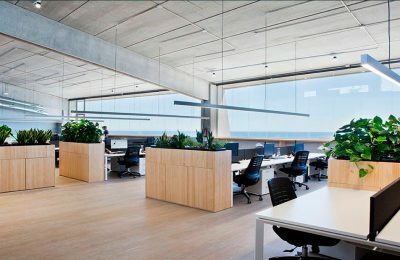 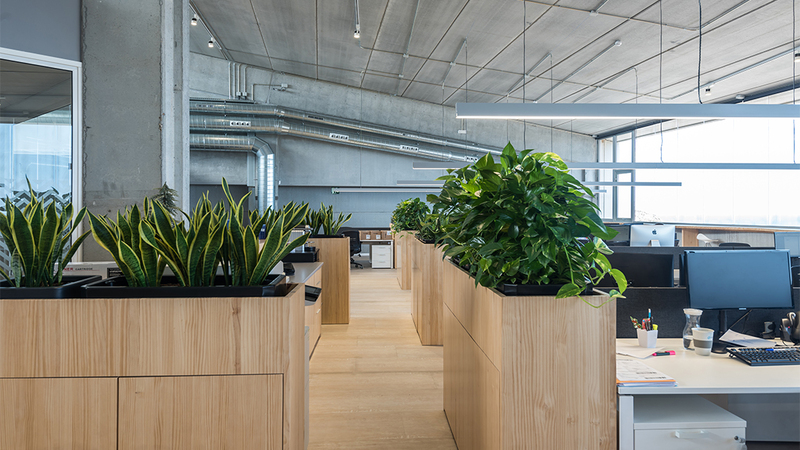 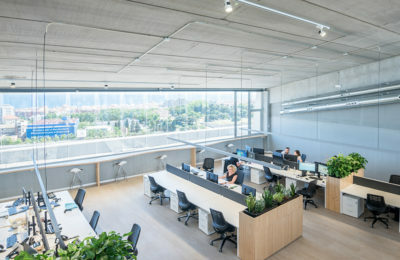 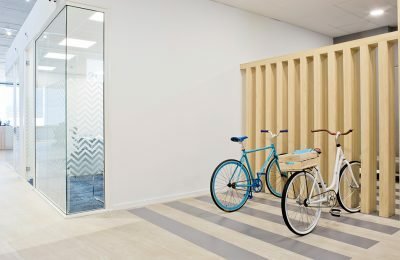 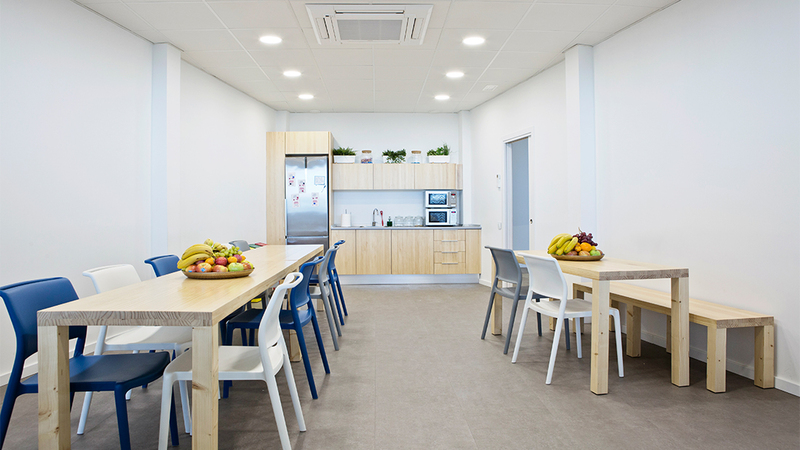 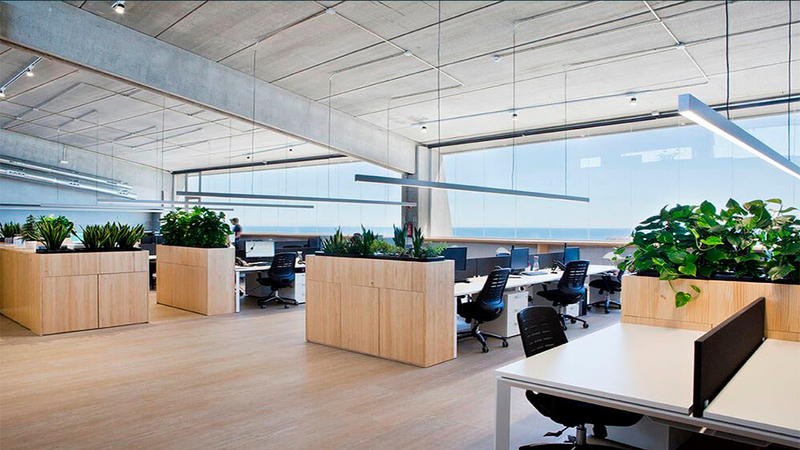 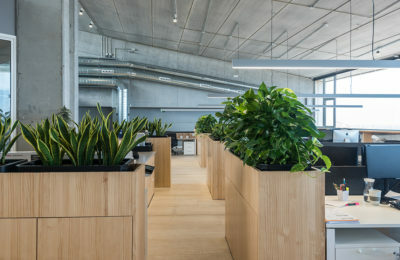 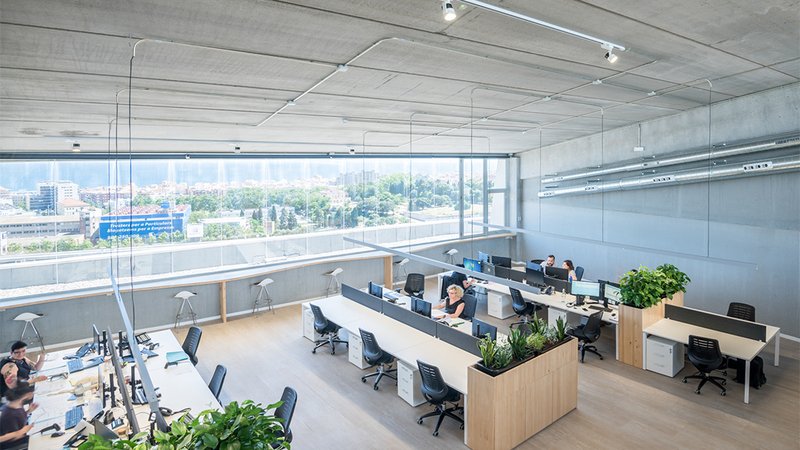 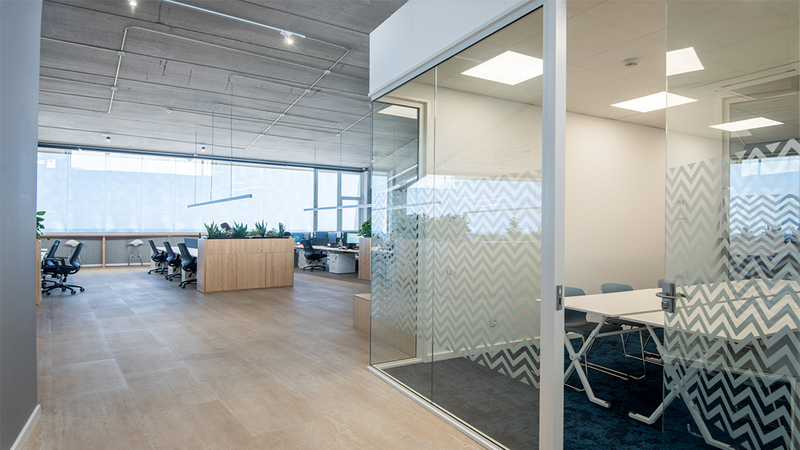 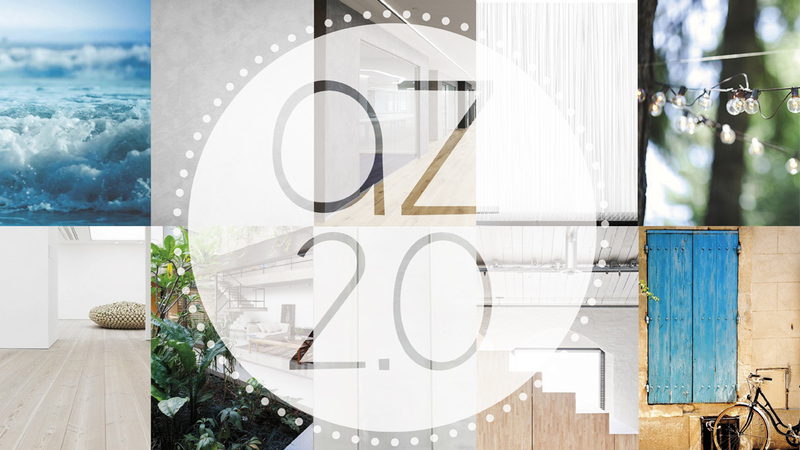 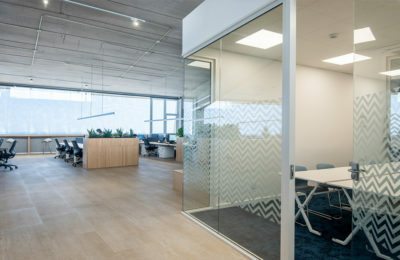 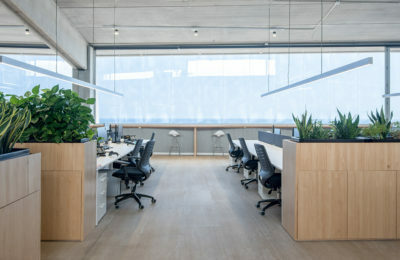 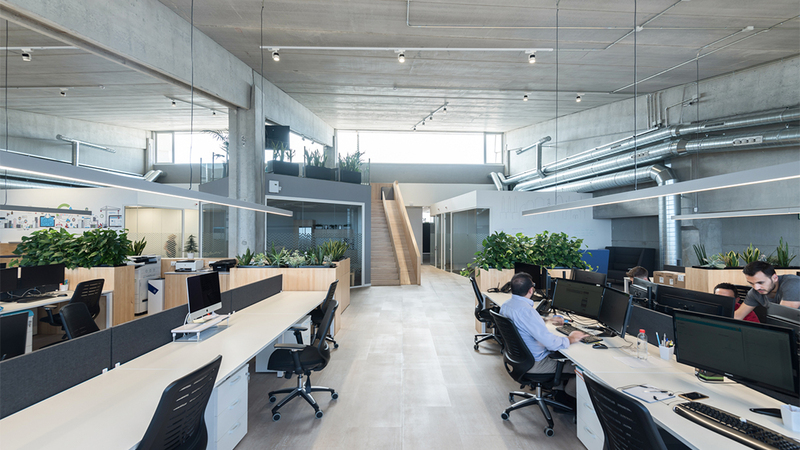 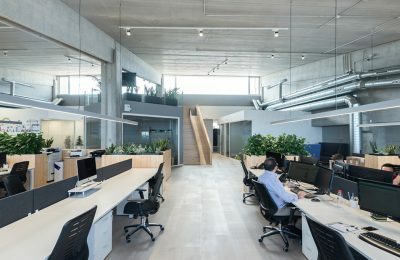 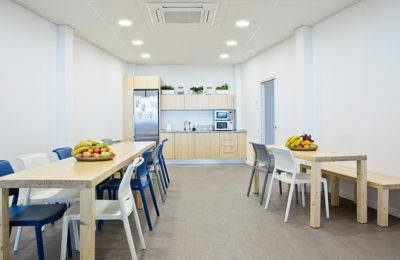 By leaving the interior of the building naked (concrete) together with the new facilities, this means the offices have an industrial touch very much in keeping with these premises. 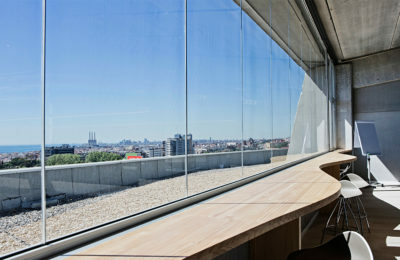 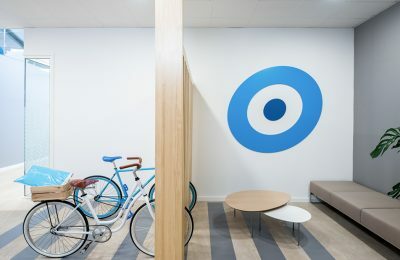 There is no doubt that these offices are very pleasant and have some gorgeous views.